Christmas Gift Guide For Her: Under $100! Am I going gift guide crazy lately or what?! I've had so much fun making gift guides so far, so today I thought I would share a few things that I will definitely be purchasing for some stylish gals in my life this year. If you're also in college, you know that we're always trying to save money to pay that expensive tuition! Even if you're not in college, it's always nice to save a bit of money here and there. Today's gift guide is a Christmas gift guide for her... but all the items on it are under $100! I'm seriously in love with these scarves, and I've already purchased a few as gifts this year. 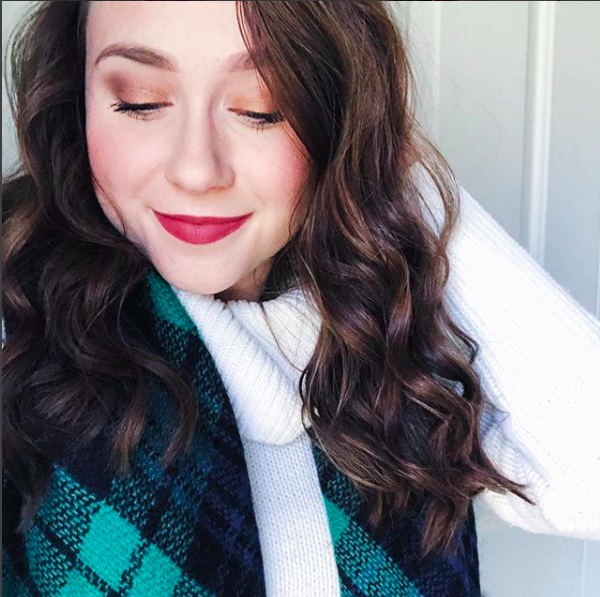 Blanket scarves are the perfect gift, because you can wear them is so many different ways and they're so in right now! I have a blog post on blanket scarves here. I feel like I'm sticking with the "cozy" theme this year for all my gifts. Who doesn't love some cozy socks like these ones? Or these slippers? In love. I feel like you can't go wrong with getting someone something cute and cozy for Christmas. I know aren't they adorable?! Agreed! I always looove getting nail polish as a gift. You can't go wrong! Great picks! 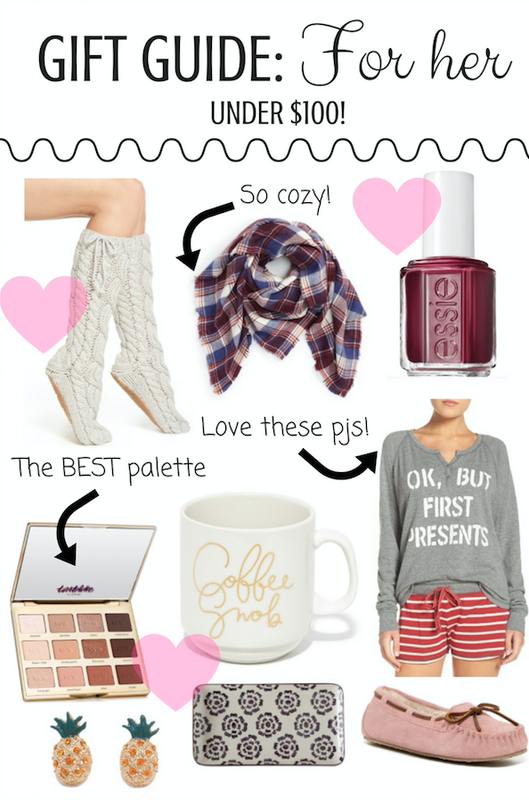 I love especially the pink slippers and the plaid scarf.